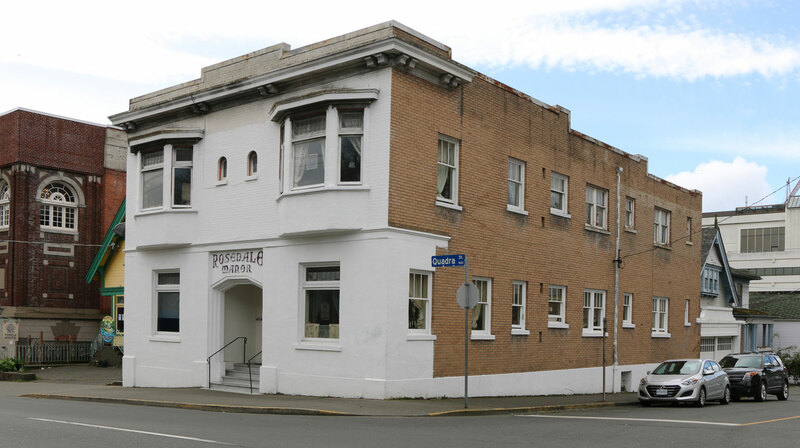 1612 Quadra Street was built in 1912 by Sand’s Funeral Homes for its funeral directors business. Sands left this building when it built its new location at 1803 Quadra Street in 1932. 1612 Quadra Street is now The Rosedale Manor apartments. 1612 Quadra Street was built in 1912 by Sand’s Funeral Home for its funeral business. The original did not extend as far west as the current building does so an addition was obviously built on. We will look for the date of the addition. In 1932 Sand Funeral Chapel built its current location at 1803 Quadra Street (two blocks north on Quadra Street), designed by architect C. Elwood Watkins.